Imagine: You are carrying out a research and you would like to write a strong analysis. For such an analysis you will need the input of others. For a scenario like this, a survey offers the most result. What should you be aware of before creating a survey? We will list the most important do's and don'ts. Carrying out a survey is the first step in obtaining valid results. For this, it is important that you have prepare the survey well. Therefore make sure you set a clear goal before you start thinking of your questions. A survey should not be too long, because then you can lose audience. So stripe questions away that are not super important. There is a difference between what you have to know for your research and what you would simply like to know. So be selective. To help you determine which questions are supposed to be in your survey, you can use sample surveys which can give you a good foundation. 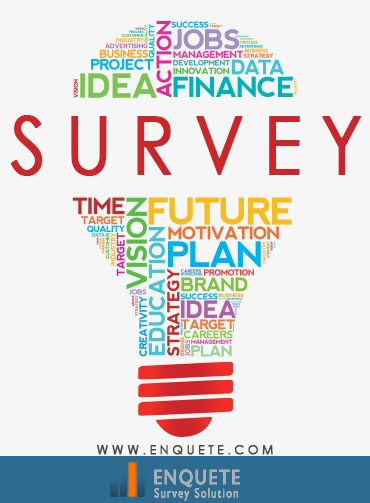 Sample survey like these are ideal if you need to have a customer satisfaction survey. This is perhaps the most underrated. Make sure the font is readable and the survey has a clear layout. When creating a survey, be careful not to blindly ask questions. Make sure that there is a logical structure and sequence in your questions. Tip: ask personal information at the end of the survey. This may seem logical, but asking clear questions is often underestimated. Something that is easy for you to understand can be difficult for the other person to grasp. That is why you should try asking some sample questions to your family, friends or colleagues. Also note that your questions should have a clear focus on your main goal. Time is money. When you ask someone to “just” fill in your survey, it should not take too much time. Open questions takes time, because you often need to think about an answer and you also need to type or write more. Try as much as possible to use multiple-choice questions and ask a few open questions for additional input. There is nothing more annoying than filling in 5 questions consecutively that are similar. You can run the risk that the respondent will start filling in the questions with some kind of automatism, clearly not giving the questions any thought. The respondents will start feeling like they already answered the same question. So create some variety in your questions. With all these tips you are now ready to start your survey. Good luck!